Mechanical keyboards are all the rage and although I was really impressed with the Gigabyte Osmium, mechanical keyboards are not for everyone. 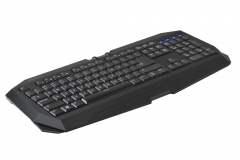 If you are in the group of people that either can’t understand the hype or like the feel and silence of a non-mechanical keyboard, then the Force K7 is certainly worth a look. 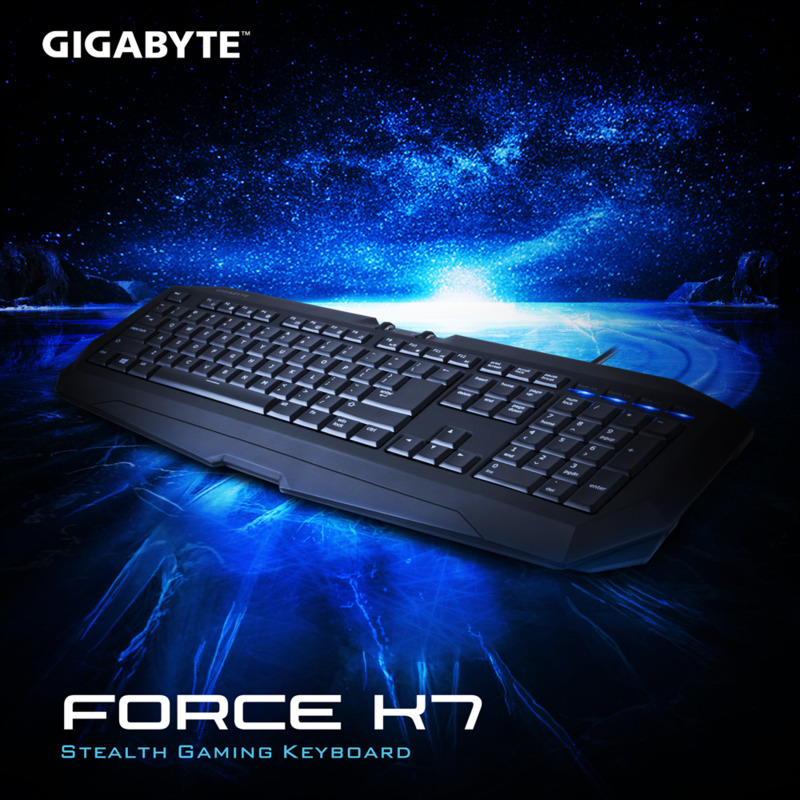 The Gigabyte Force K7 is indeed very stealthy in that it has a low profile and doesn’t make much noise at all. This is perfect if you have your PC in a common space and like to game while other people watch TV, chill out around you or even sleep nearby. 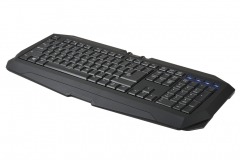 The palm rest isn’t as big as other keyboards but it’s still comfortable and effective. I feared that the lower profile might impact on me ergonomically but it didn’t. The feet also have a rubber section that makes contact with the desk to prevent slipping. 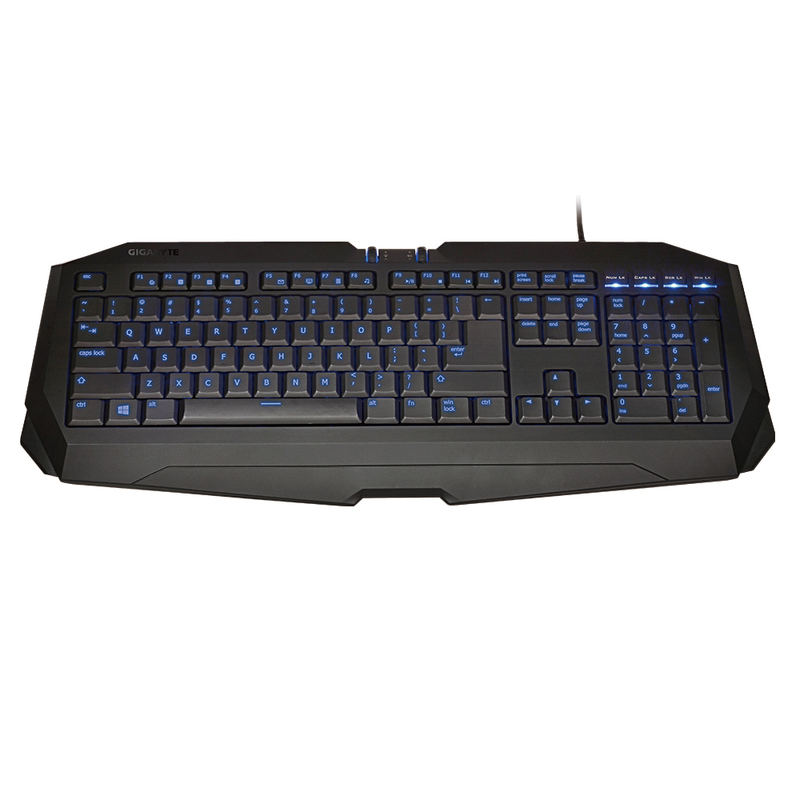 The keyboard itself is relatively simple but the execution of the design, gaming experience and value proposition made it stand out in my mind. The WASD ‘Cluster’ anti ghosting is included but it would have been nice to see this extended to the whole keyboard. This Cluster involves the Q,W,A,S,D, left-shift and space, allowing 7 keys to be pressed at the same time. The key caps are really low, almost like a laptop keyboard and NOT removable but the key actuation distance is 1.9mm which is comparable to many mechanical keyboards. 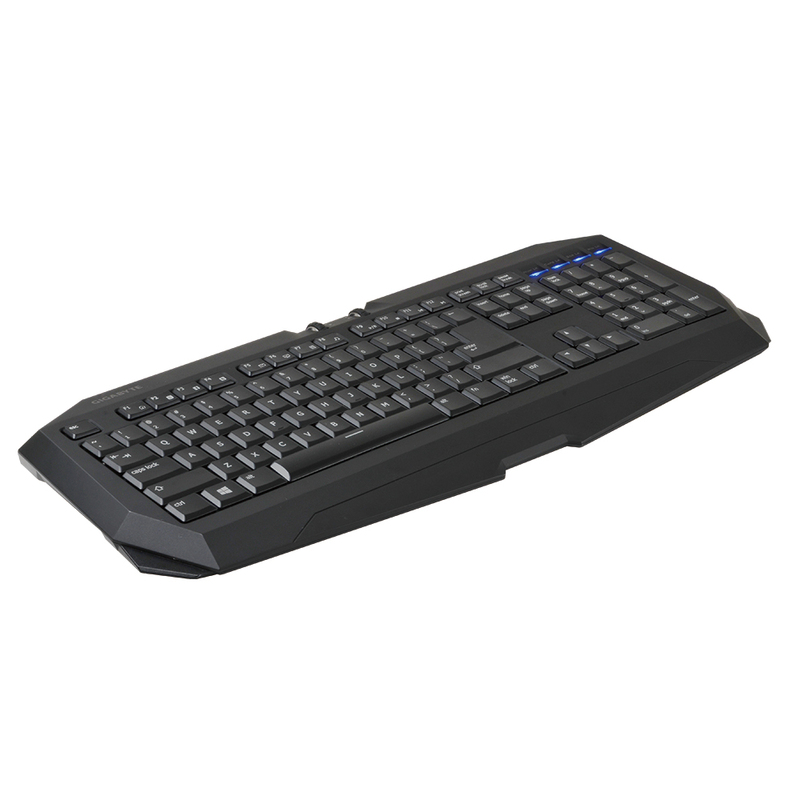 I found the keyboard really easy to adapt to and also found that I could type documents quickly on the Force K7 with both good accuracy and little noise. In comparison, whilst I liked using the Osmium with Cherry Red mechanical switches, I can see why the Force K7 is called ‘Stealth’ because the acoustic difference is significant. Aesthetically, the backlight is really effective and whilst it’s limited to 3 colours or shades (Blue, Cyan, Green), the key cap etching is very clear in a dark room and the letters are easy to see. The low profile of the whole keyboard does help to give the desktop a neat appearance as well. The graphic from Gigabyte below is a pretty good representation of the backlight and as nice as it looks in real life, none of my photos did it justice. Like the Osmium we reviewed earlier, volume and LED brightness are controlled by 2 scroll wheels. This is a brilliant and intuitive way to manage these functions. Pressing the scroll wheel will act as an on/off toggle for the backlight or mute switch for the volume. The build quality looks good and I didn’t have any issues with our review sample. 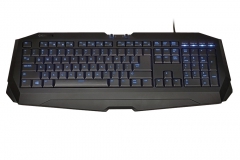 In comparison to the Osmium mechanical keyboard, the Force K7 did feel lighter and perhaps not as well-made but this is a common perception issue when comparing mechanical keyboards to non-mechanical alternatives. Heavy tends to make us think ‘solid’ which is not always true. I didn’t see anything at all to make me question the durability or quality of the Force K7. 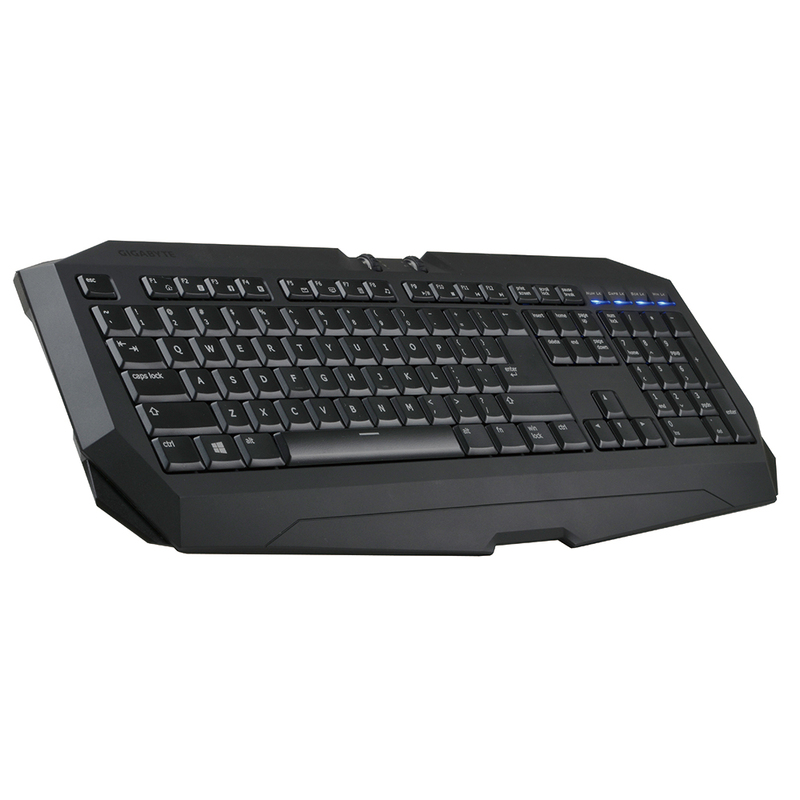 The keyboard comes well packaged/protected and should survive even the most careless courier if you buy one online. 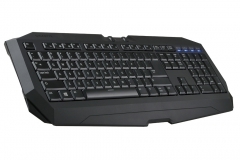 We demonstrated the Force K7 at RESPAWN LAN on 27th June and had only positive feedback from gamers who gave it a go. The branding is rather subtle which meant we had to answer “What keyboard is this?” a lot. If the gamer feedback was a benchmark, the Force K7 passed with flying colours and there were a lot of surprised looks when we told people what the street price was. There are a few function features like Windows key lock and some “Fn” keys for common applications/functions. The Windows lock key is something I’ve recently appreciated more due to an increased level of online gaming. When you miss-hit the Windows key in an offline game, the game usually pauses but online gameplay isn’t as forgiving and a miss-hit can make you an easy kill for someone or at best you will suffer a missed opportunity to improve your K/D Ratio. At $49 it’s well priced and good value. 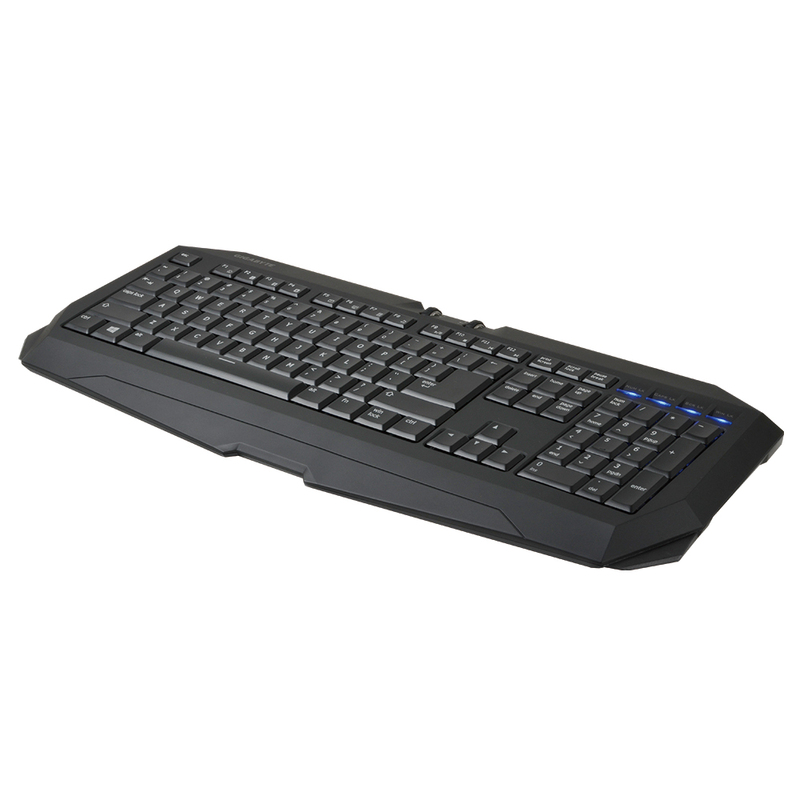 I’d have liked to see full n-key rollover on the K7 as it is a gaming keyboard after all but didn’t have any ‘real world’ issues with the WASD cluster anti-ghosting that Gigabyte implemented instead. For the price, it’s still a great offering in terms of quality and features. 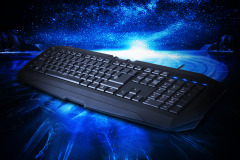 The omission of USB and analogue audio pass through is understandable in a $49 offering with Gigabyte delivering a gaming keyboard that has all the essentials. The designers made a good decision to include 3 colour backlight, intuitive volume / illumination controllers, a Windows key ‘lock’ and sleek profile. 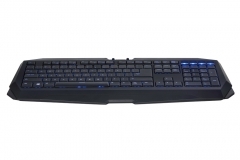 In conclusion, although I personally prefer mechanical keyboards, the Force K7 was a good change and I enjoyed using it. For those on a tight budget or in a shared environment where key-tapping is going to cause “domestic friction”, this should be on your short list. 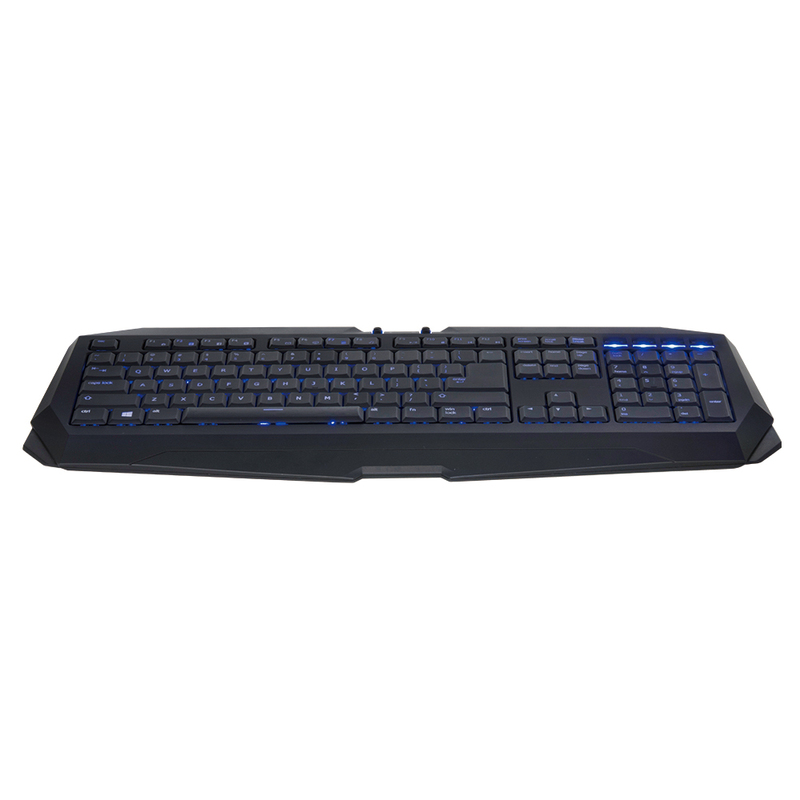 The Gigabyte Force K7 Stealth Gaming Keyboard is a safe purchase, covering off design, useability, essential features and value.